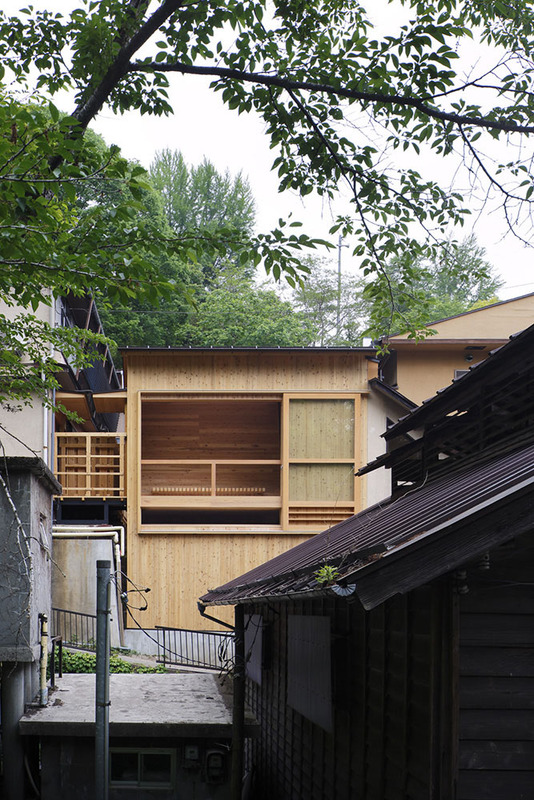 Maruhon Ryokan is a traditional Japanese-style hotel in Sawatari hot-spring, Gunma, since 1600s. 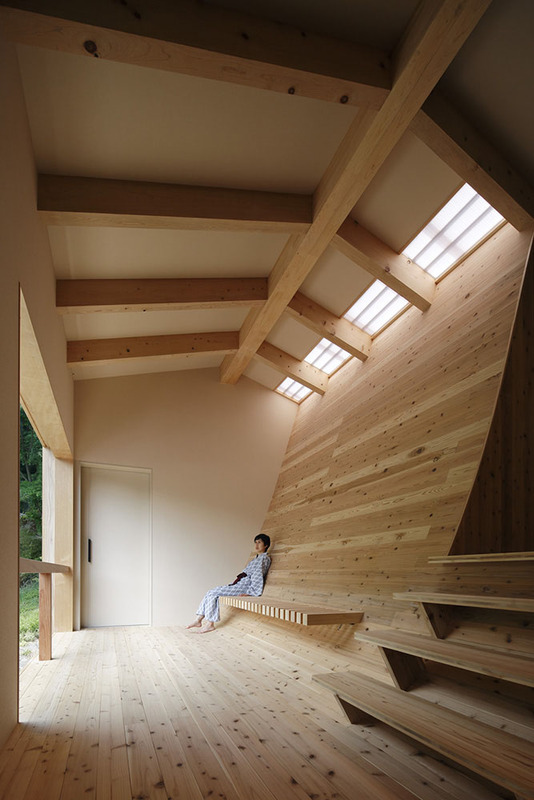 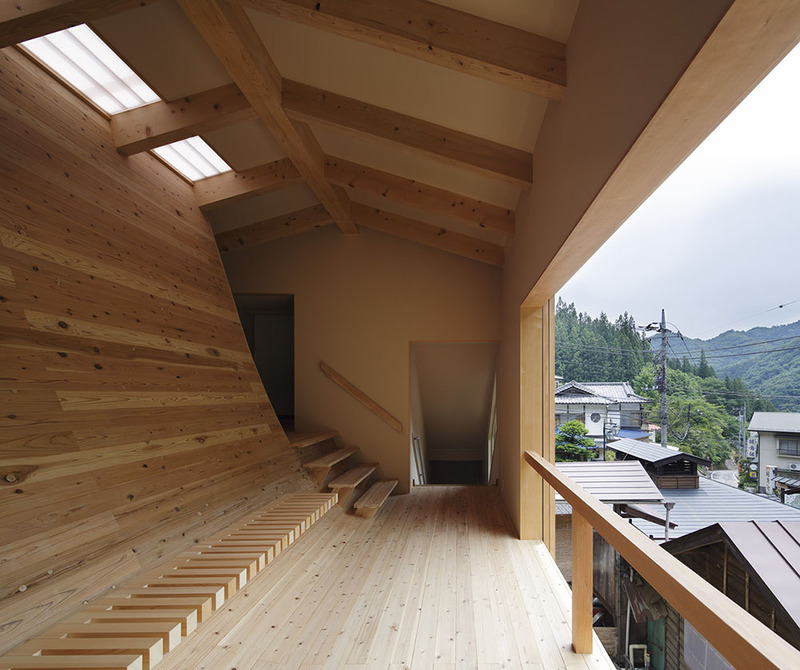 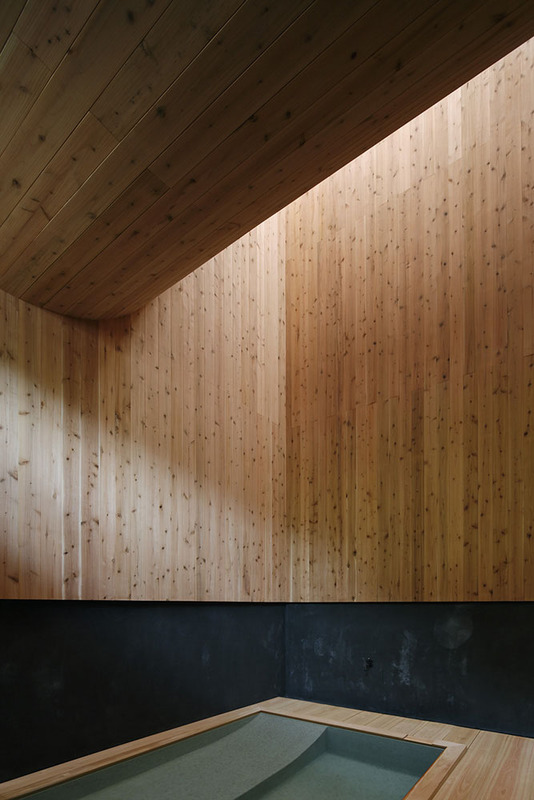 The bathhouse has ordinary form with gable roof, though a curved slab separates the interior to the bathroom on the lower floor and the rest space on the upper floor. 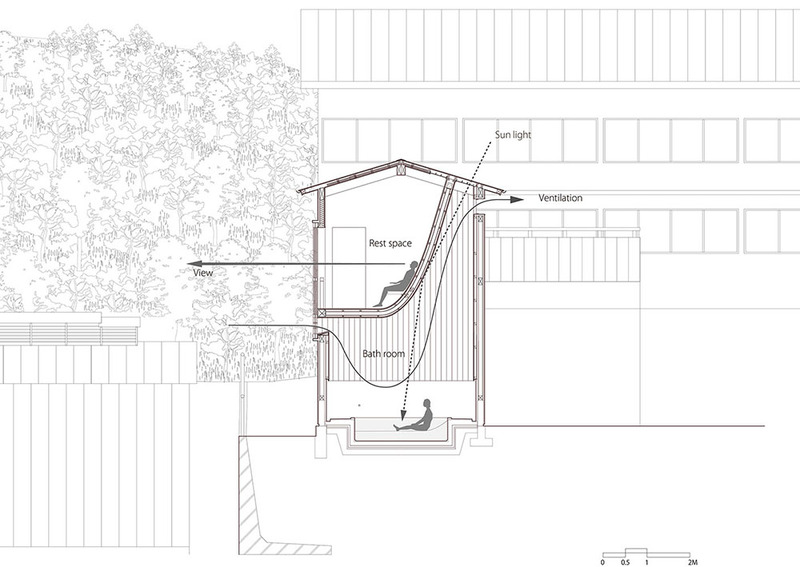 In the bathroom, people can enjoy the silence of the space and the transparency of the spring water, due to the curved slab-chimney which generates buoyancy-driven ventilation without fan and diffusion of lights. 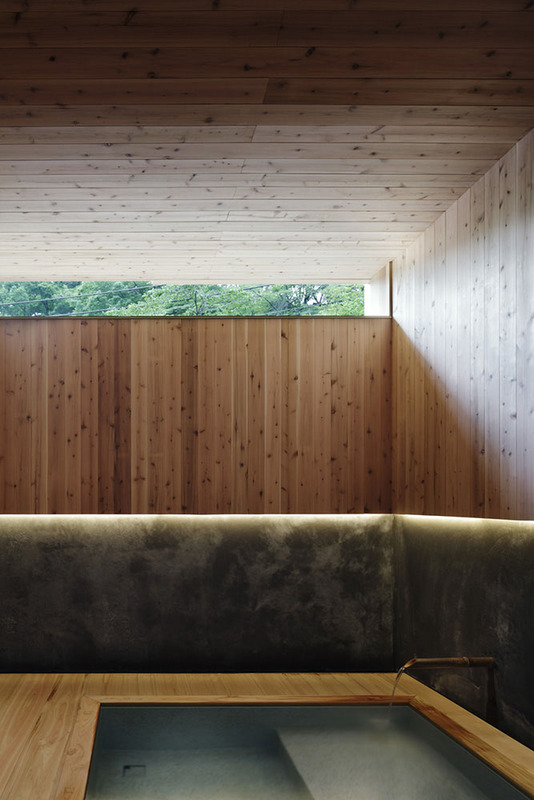 And at the same time, this curved slab is used as the backrest of a big bench on the upper floor which lets people to take a rest after bathing by feeling the outside view and wind from the big window. 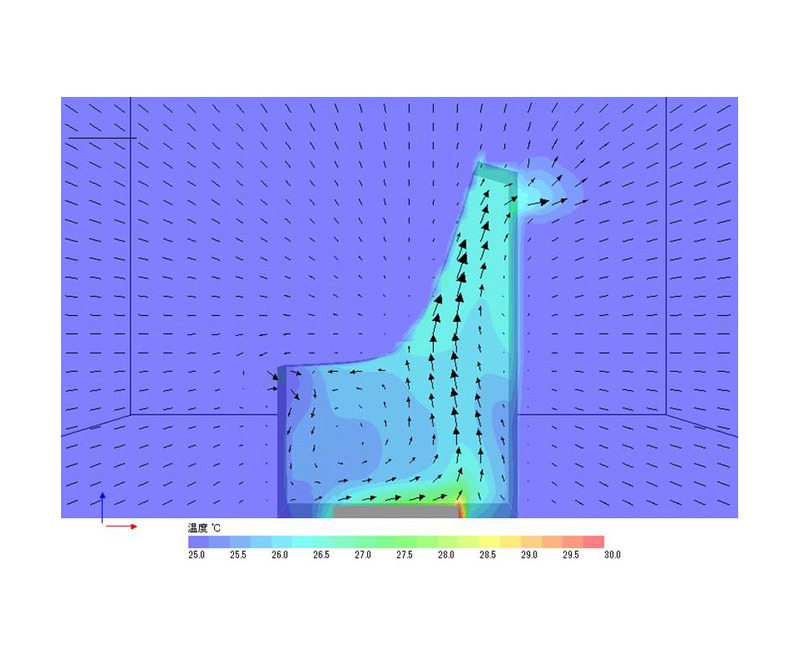 We decided the form of the curve by finding balance between the CFD (Computational Fluid Dynamics) simulation of the air circulation and the coziness as a backrest. 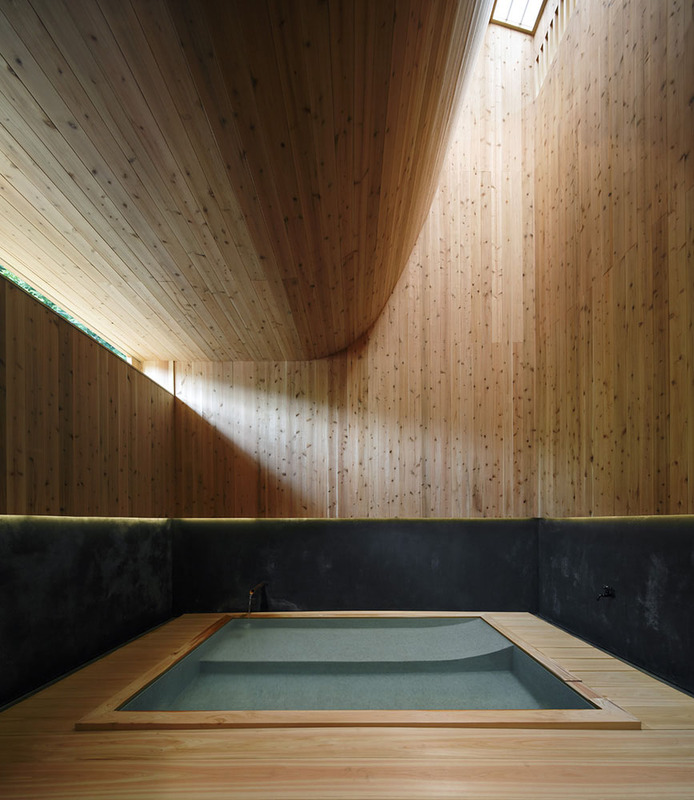 The elements for creating comfortable environment, as light, air and view, are combined by a curved slab, and a rich comfortableness is generated into a small bathhouse.